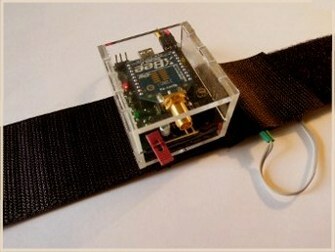 wireless electronic HCI from Martin Hug on Vimeo. The Internet of Things. 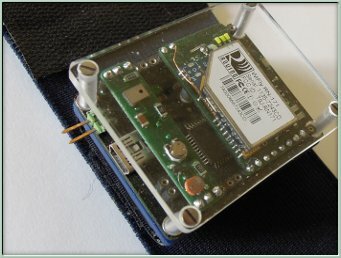 For this project I made a PCB for a RN171 WiFly enabling me to transfer data using an ANDROID HTC as a router to a remote server. The original idea is by the Chilean artist Alexa Pérez elpueblodechina.org and was presented at LABORAL at Gijon Spain to create a shirt with a variety of sensors to observe a person on its environment. For this experiment I made a mini PCB including a LM60CIM3 temperature sensor, a standard LDR for light measurement and a SMD microphone SPM020HE5 to capture information about sound. A PIC18F4420 is used to measure the sensors and to send the data to the USART of the RN171. 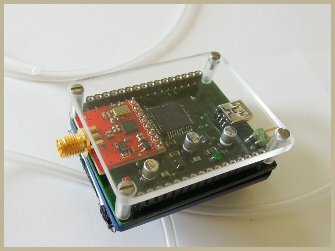 The Ni-Ion battery powered circuit incorporates a PIC18F4420 and transmits data wireless using the nRF24L01 from Nordic. 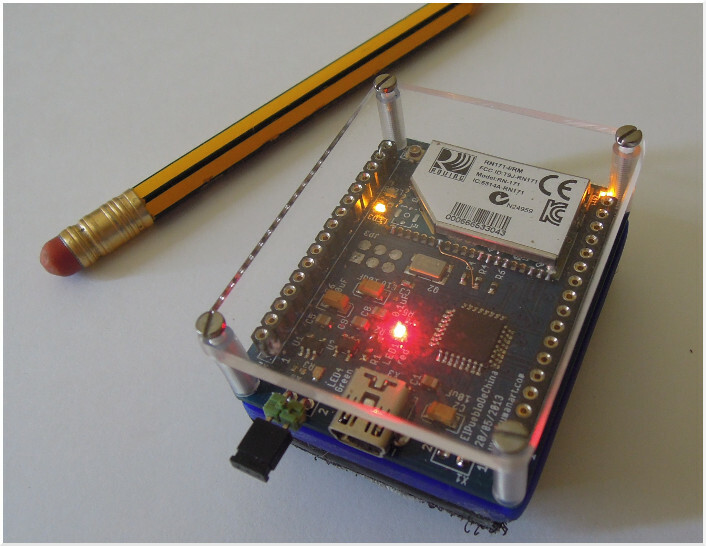 The cheep wireless module replaces the expensive xBee wireless module with the advantages of low cost (3,50E) and size, QFN20 4x4mm package. The code for the 18F4420 to manage the data from various senors and to interchange data over +SPI with the nRF24L01 is written in C for SourceBoost, but is nearly ANSI C compatible. A MPLAB file including the code for the PIC and all schematics are attached in ZIP format at the end of the project site. 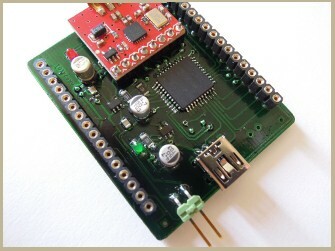 The universal module allows to plug in small PCB's with a varieties of sensors, depending of the needs of the project. Also included in the ZIP is a basic code for SuperCollider & an interface patch written for PD. 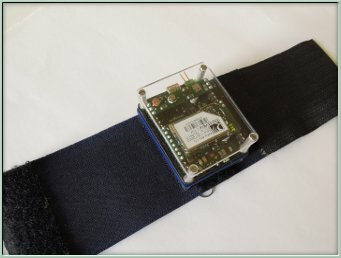 A project based on GSR (galvanic skin response) sensing. The electronic circuit converts analogical signals into digital signals. 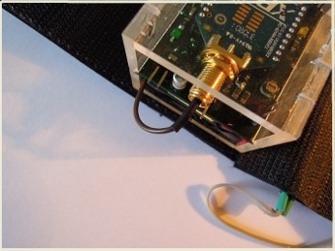 One can plug in microphones, connect line audio or a piezoelectric transducer . 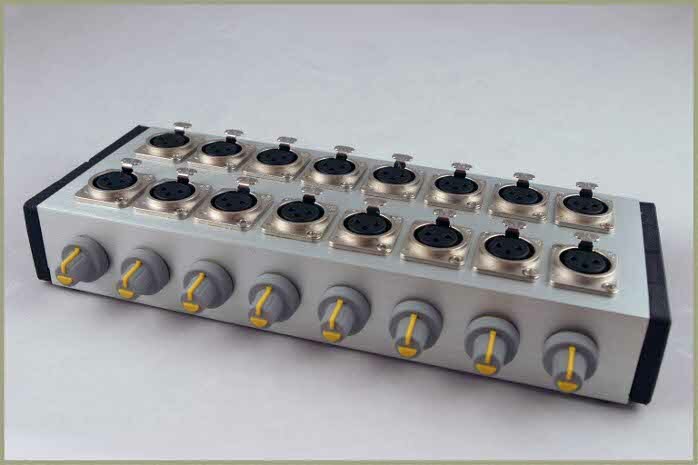 On independent inputs (channels) the unit includes 8 pre-amplifier, 8 envelope followers and a PCB for a PIC18F4550. The PIC has the function to read the analog events and to send it digitalized using its USART to the computer. The panel consists of 16 small Pad's to control computer-programs with the ability to be controlled by OSC (open sound control) - or MIDI - messages. 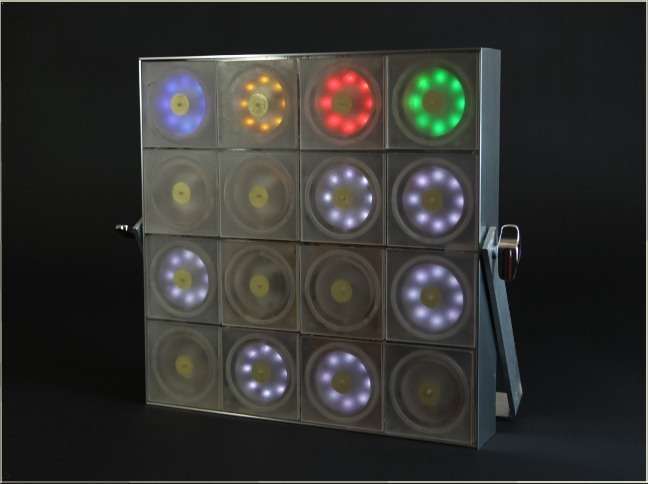 Each Pad is illuminated by 8 LED's (4 in different colors) to visualize the state of a momentary situation. The electronics of the panel consists of a circuit with a PIC 18F442 and a xBee wireless RF module, a trigger circuit to capture the 16 piezoelectric-transducers using a LM324 a 74HC14 and a multiplexer DG406CWI and a power-management circuitry for two UNIROSS 3,7V 1080mA Li-Ion batteries using two MAX1811 (battery charger), a MAX856 DC-DC converter for the 5V needed for the 74HC14 and a TPS61040 (Texas Instruments) to convert the 3,7 battery voltage to 12V to illuminate the LED's of the panels. My drums (and other percussion-instruments) are connected using several envelope followers to the 8 analogue inputs of a Microchip (PIC 16F877A) to generate MIDI Note On/ Note Off messages (see project Pad to Midi).With the panel, hitting the Pad's with a stick or by hand, I'm able to change programs, sounds and other parameters while playing the drums without locking at a computer screen. Wireless Pedal for Pure Data. A small PCB incorporated into an old guitar-volume pedal captures, using the Port RB4 configured as analog input of a PIC 16F690, the values of the potentiometer of the momentary state of the pedal. The resulting values are sent using an xBee module (transmitter) connected to the UART of the 16F690 micro-controller. 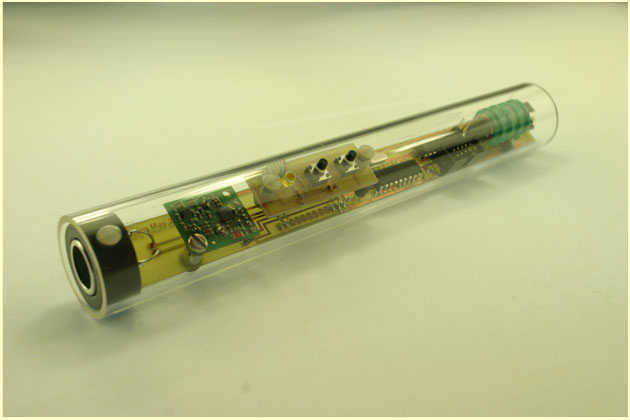 The MIDI-STICK was presented at the Multimedia Foundation HANGAR in Barcelona the 21st of June 2007 by the Scottish dancer TARA HODGSON.